The advent of future members and eventually leaders of Barisan Nasional is being nurtured is quite clear in this XIV GE. Pro-right varsity students volunteered with many BN candidates within the striking range of their respective campus, showing their drive to work the grass-roots election machinery. They have shown high interest in politics and willing to slog it out. This is a very good training bed for them. The roll up their sleeves and toil with the grass-roots and manning District Polling Centres (Pusat Daerah Mengundi). Hence, their entrance and introduction into the party is at grass-root level. This would enable them to be familiar with party branch workings and work their way, bottom up if they have strategic ambition serving the party and rakyat. Then they would have to continuously serve their branches and one day if they aspire to get position in the party, they would already have a good support base. Met at BN candidate for N06 Jitra Dato’ Aminuddin “Pak Tam” Omar’s campaign trail in the countryside surroundings of North Kedah, these student volunteers were very pleased to be together with the first term State Exco for Youth and Sports. Pak Tam is the incumbent for NO6 Jitra seat and his former Boss, discharged Menteri Besar Dato’ Seri Mukhriz Mahathir has abandoned his N03 Ayer Hitam seat to challenge the former. Their turf is in Kubang Pasu UMNO Division, where Pak Tam served the grass-root for a long time. Kubang Pasu Division Head for over 30 years was Fourth Prime Minister Tun Dr Mahathir Mohamad, now de facto leader of the Opposition coalition. Dr. Mahathir in this XIV GE abandoned his traditional Kubang Pasu Parliamentary seat but instead opted for Langkawi. At the strategic level, this cadre-ing is a very good initiative for BN and UMNO for talent management. The shift of voters and people within communities having the preference towards candidates who have served the constituencies is getting more prevalent than party’s choice. Wanita UMNO candidates for the XIVGE are driven to charge down their fields and capture them with the BN Manifesto: Bersama BN Hebatkan Negaraku. Party HQ laid a very good agenda for Malaysians and Malaysia, to give BN the mandate again to form the XIVth Federal Goverment. Armed with this, Wanita UMNO add value to the stories of the goodies that shall come before them, as the nation progress, in their usual ‘personal touch’ mechanism with the voters and constituents. Take State Assemblywoman for Sungai Tiang Dato’ Suraya Yaacob, who is going fot the fourth term. She is very cordial with the rakyat around her constituency and often made time for them. This is despite that she is very busy as Kedah Exco for Economic Development, Women, Family and Welfare Development and Agro-base Industry, Suraya is a Wanita UMNO Exco, President of Malaysian Netball and Exco of the Football Association of Malaysia. The United Kingdom trained lawyer is also adrenalised that BN wants to put entrepreneurism as a specific economic agenda for Women. Suraya is also elated that Government are taking steps to harness all the talents and professionalism amount women, even after taking a short break, to come and be productive and contributing especially in commerce. “The concept of women having flexible working hours and spending time raising a family, is a win-win situation”. She said she would be excited if she is to be offered the job to run the new agency or SPV created with the specific purpose to roll out and follow through all the items pertaining ‘Empowering Women’ in the BN Manifesto for XIV GE. So far, the truth prevailed against all the lies and slander brought forth against “A business problem that was twisted into a political tool and capital” and when the Opposition drummed this as their battle-cry, none between any of them ever came forth to challenge 1MDB CEO Arul Kanda in the face as lately, he’s been around all over debuting all the myth and lies. Part-funded by the DAP, the news channel is reflecting the DAP’s innermost fear, fear that its support base is being swayed by Kanda and gang with facts and figures. To contend with Kanda, Kini seems to have spent a considerable amount of money on Arulmania, a selective outrage machine that pettifogs every syllable that spills out of Kanda’s mouth. That immediately summons the passion with which Clare blots the voter conscience with the ink of deception, an ink she knows is as indelible as the blot on her reputation is. The smartest thing about P Gunasegaram’s article in Malaysiakini (Kini) today was that he didn’t try to compete with Arul Kanda Kandasamy. If he did, he’d probably have ended up burying his credibility as a writer, which, for all intents and purposes, seems already to be hanging by a thread. So he did the next best thing – he minced his words and split hairs without actually pinpointing what the fuss was about. It was Clare Rewcastle Brown all over again, albeit with a new hairdo and gender change. In typical Sarawak Report fashion – which seems to be the going trend these days – Guna branded the 1Malaysia Development Berhad (1MDB) President and Chief Executive Officer (CEO) a liar without actually presenting us the evidence. That immediately summoned the passion with which Clare blots the voter conscience with the ink of deception. Basically, all Guna did was string together a whole bunch of meaningless syllables only the staunchest of opposition supporters could digest. Yes, the DAP is hitting the panic button. Given that Kini’s wheels are being generously greased by the good ol’ chaps at the Soros owned and linked establishments – which happen also to fund the DAP these days – it’s only logical that you’d expect the very brand of rhetoric that oozes from Sarawak Report, Wall Street Journal and New York Times to appear in Guna’s narrative. It’s the usual dose of fabrication dabbed in persuasive ink that at one time, used to reek of conceit and deceit. Today, it’s smells of fear. That helps explain Guna’s article. Kini seems to have spent a considerable amount of money on Arulmania, a selective outrage machine that pettifogs every syllable that spills out of Kanda’s mouth. Ever since the 1MDB CEO announced a roadshow to set records straight, team Kit Siang has been biting its nails, jittery that the DAP’s existing voter base – the one comprising die-hard fanatics who’re used to reading headlines and deriving conclusions – is being swayed by Kanda and gang with facts and figures. There is genuine fear that the truth campaign will turn DAP supporters against the party and cause them to settle the score at the ballot box. That explains ‘gumball’ Guna, Kini’s eleventh hour ‘solution’ to everything Kanda. True to Kini’s ways, all Guna did was blow some empty bubbles over answers the 1MDB CEO was said to have furnished the news channel with, answers he even forgot to list down, let alone contend with point-for-point. And we’re supposed to believe gumball and put aside all the charts, figures and calculations – you know, the cut-and-dry stuff – that Kanda has been presenting us with? Does Guna think we’re idiots? The bitter man who Malaysiakini put forth in the attempt to kill the growing nationwide (not to mention, global attention too!) of Arul’s effort representing his firm to talk to ordinary people in events held by political leaders, NGOs and even communities to understand the ‘1MDB story’, is P. Gunasegaran. He was an award winning former Star Biz editor. Before that, Guna had gone bitter over the years of criticising Federal Government policies like Proton which got him reprimanded. It was believed that he was asked to leave. Then Guna started KiniBiz and tried crowd sourcing to fund it but failed. Guna also went political, throwing his support behind DAP and throwing anything he could and any opportunity available, against the Federal Government, the ruling party and particularly, the leader he hated most, Tun Dr. Mahathir Mohamad. Nevermind trying to be Clare Rewcastle-Brown and throw salvos against Arul’s explanation and deliberation on 1MDB, without providing any shred of evidence nor he attended any of Arul’s sessions and challenge the LSE trained lawyer-turned-banker in the face. He already got a prize for his business journalism. At this point of time, he should be bitter with the DAP and Opposition coalition for putting Dr Mahathir right on the top of their throne. Guna should train his guns against them, especially one of Dr. Mahathir’s promises if they come to power is to restart another Proton. KUALA LUMPUR: Pakatan Harapan might have plans to set up another national car company if it succeeds in capturing Putrajaya in the upcoming general election. Its chairman Tun Dr Mahathir Mohamad said he has “some ideas about starting another automotive company,” that could become a catalyst for the growth of engineering know-how and capabilities. “For Proton, various companies were established to manufacture components and parts for the cars. “Cars need 4,000 parts, so these provide opportunities for manufacturers,” Dr Mahathir told a forum on China’s investment in Malaysia. “The only thing it doesn’t have is that it doesn’t conform to Euro 5 or Euro 6 (standards), which we could have if we are prepared to pay the price,” he said. In June, DRB-Hicom Bhd inked a deal to sell a 49.9% stake in Proton Holdings Bhd to China’s Zhejiang Geely Holding Group for a total of RM460.3mil. Proton, set up in 1983, is the brainchild of Dr Mahathir during his 22-year tenure. However, it had suffered severe losses over the previous years. Putrajaya had argued that it was necessary to sell off stakes in Proton in order to reduce losses incurred by the national carmaker. Seriously, if Guna is angry with his friends and hopes, then he should go after them instead of the truth being prevailed. The CEO of 1Malaysia Development Berhad (1MDB) had a few choice words for a particular journalist from a news portal whom he branded a ‘coward’. An article that was just published in Malaysiakini which described Arul Kanda as at a loss for words during the interview at the news portal office had painted a picture of Arul as being cornered by the journalists and left “rooted to the spot with little room to manoeuvre”. However, Arul Kanda revealed that the journalist who wrote the article that was openly critical of him recently was not even there. “You don’t have the balls to turn up and question me in your own office when I am there for three hours?” Arul asked. “I went to the office myself and four journalists interviewed me, asking questions about the 1MDB issue and I answered all of them based on facts. “I was there for three hours but the author of the article was not even in the session. After that, he released an article that was clearly aimed at me,” he told reporters after another townhall session in Seremban last night. Arul said he was not satisfied as the individual was not even present but later chose to write an article to discredit him. “That is not fair, I am very disappointed with Malaysiakini,” Arul remarked. He added that he has been all over the country where he holds open question and answer sessions and there was plenty of opportunity for anyone who want to debate him over 1MDB to turn up. “Why did he not turn up? Why was he not brave enough to show his face? “Why behave like a coward?” Arul described the journalist as a mere keyboard warrior. “You want to criticise me, do it in person,” he reiterated that anyone who wants to criticise him to please “turn up at one of my events”. He also pointed out that perhaps the individual did not turn up because he knew the answers he will get is not what he wanted to hear. “The problem with the pro-opposition media channels is they only want answers they want to hear only. “Everyone needs to understand, I am a spokesperson. I don’t simply give answers. I will answer based on facts and based on the documented company transactions and from the business viewpoint of the company,” Arul explained. He also said he can only answer as the company’s spokesperson and not give answers to all the anti-goverment propaganda that has been generated. “If you dont like my answers, that is up to you because I only use facts, no misdirection, no spin,” he reminded that he has no ulterior motive beyond what he is doing in his professional capacity. The 1MDB CEO has been touring the country for the past six weeks, appearing before nearly 30,000 people to dispel allegations on the company, NST reports. In last night’s session, a question had been asked about Jho Low whom Arul replied had nothing to do and never worked with 1MDB, unlike what the opposition has been saying. “Jho Low was formerly an advisor to Terengganu Investment Authority Bhd (TIA), a wholly-owned subsidiary of the Terengganu Government, and he resigned from TIA as advisor in May 2009. “The federal government took over TIA in July 2009, and this shows that Jho Low has nothing to do with the government,” he told reporters in Seremban last night. The trait of a typical DAP man, in the likes of DAP MP for Petaling Jaya Utara Tony Pua, who was the member of the Public Accounts Committee. People will ill intent eventually would get a taste of their own poison because even though there is ‘honour amongst thieves’, there isn’t amongst those strange bedfellows who go into bed out of the convenience of malice. IT is an open secret by now that Datuk Seri Anwar Ibrahim (pic) seems to be calling the shots in PKR from his hospital bed. Conspiracy theories are swirling in PKR circles about how Malaysia’s most special prisoner is able to host meetings with party leaders at the Cheras Rehabilitation Hospital where he has been warded since last week. Party insiders say that as a result of the special conditions accorded to him, Anwar was able to have the final say on his party’s candidate list which made headline news. Visiting conditions in Sungai Buloh are very strict but access at the Cheras hospital is far more relaxed. The Ketua Umum or paramount leader as he is known in PKR has been allowed visits from, among others, his wife and party president Datuk Seri Dr Wan Azizah Wan Ismail and deputy president Datuk Seri Azmin Ali. The fact that he was conveniently transferred from his Sungai Buloh lock-up to the Cheras facility has sparked all sorts of speculation. He is not known to be unwell and his shoulder has healed after an operation several months ago. So why is he warded at the Cheras facility? The government he is trying to overthrow seems to be making it all too easy for him to manage his party from his hospital bed. Among the stories circulating in PKR is that it is the Government’s way of monitoring the goings-on in PKR, including what is being discussed and planned. However, the most pervasive theory is that there is some sort of political deal going on between top PKR and Barisan Nasional leaders. The authorities have also not restricted visits from other party leaders. It is understood that PKR secretary-general Datuk Saifuddin Nasution and vice-presidents Rafizi Ramli and Nurul Izzah Anwar have been seeing Anwar to consult him on the general election. All of this has raised questions about what is actually going on between Barisan and PKR leaders. Are they enemies or “frenemies”? If they really trying to topple each other, then why the special treatment for Anwar and PKR leaders at such a crucial time? The alignment between the political elites, said a political risk analyst, seems to be so fluid, and this sends out conflicting and mixed signals to the ground. Meanwhile, the Azmin and Rafizi camps in PKR seem to have reached a compromise of sorts on candidates. For a while, there were even rumours that Azmin had threatened not to defend his seats in Gombak and Bukit Antarabangsa. Many of the candidates in Azmin’s list are in and party vice-president Dr Shaharuddin Badaruddin, a former Abim (Angkatan Belia Islam Malaysia) activist, was reinstated in Seri Setia while another Azmin loyalist, Najwan Halimi, was moved to Kota Anggerik. But things are not exactly back to normal, and perhaps they never will again. There is distrust between the two camps even though Dr Wan Azizah has said that there is only “one camp” in her party, and that is her camp. Their social media content suggest some kind of shadow-boxing going on between the top two PKR leaders. Azmin said on Twitter that, “Nobody can hurt me without my permission”. The Mahatma Gandhi quote was Azmin’s way of saying that he can take the heat. Dr Wan Azizah posted a picture of a ginger-coloured cat gazing into a mirror with the reflection of a lion, and the quote: “What matters is how you see yourself”. Another picture shows the same cat whose shadow cast on the wall is that of a lion. The president is telling her detractors not to mess with her, that she may seem like a pussycat but there is a lioness in her. Parti Pribumi Bersatu Malaysia has also been watching the PKR wrangle over seats. 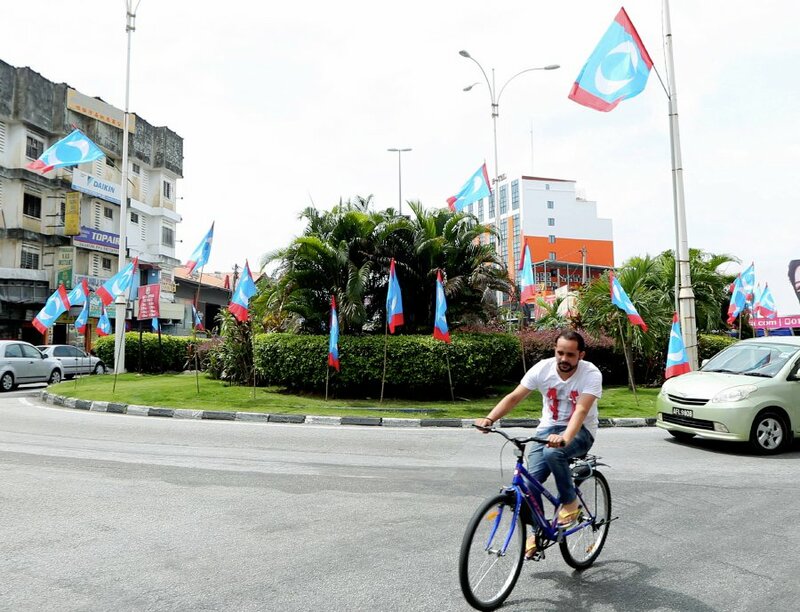 One particular seat – Gurun in Kedah – has stirred concern within the Tun Dr Mahathir Mohamad circle. The Gurun state seat was given to PKR’s Datuk Johari Abdul who is also vying for a third term in the Sungai Petani parliamentary seat. This is not the first time that Johari is going for two seats, but the difference this time is that he is perceived to be vying for the Mentri Besar job if Pakatan Harapan takes Kedah. His circle do not see anything wrong about that, while the Pribumi circle says it will affect the established trust between the two parties. Saifuddin may have made history in PKR because he is contesting a parliamentary seat in Kedah and a state seat in Penang island. Saifuddin is also seen as a potential Deputy Chief Minister for Penang if he wins in the Pantai Jerejak state seat that was vacated by the ex-Deputy Chief Minister Datuk Rashid Hasnon, who has been parachuted to Johor. Some say that Pakatan is taking voters for granted with such stunts, but the Opposition coalition is still riding high and feels that it can do what it likes. The desperation of crack within PKR and the ‘silent infighting’ is actually very apparent. KUALA LUMPUR: The rift plaguing the top PKR leadership, evidenced by the ongoing drama involving the selection of its 14th General Election (GE14) candidates, could very well mirror the chaos expected to take place at the party’s own elections later this year. With only a few days to go until campaigning begins, PKR’s preparations appear to be far from complete, with rival factions still jostling to have their own people included in the final candidates list. At the centre of the storm are PKR president Datuk Seri Dr Wan Azizah Wan Ismail, whose power struggle with deputy president Datuk Seri Azmin Ali centres around whom among their respective team members will make the cut for the final list. Wan Azizah had reportedly axed eight of Azmin’s candidates from the list, which reportedly necessitated the mediation of Datuk Seri Anwar Ibrahim himself via a meeting with Azmin at a Selangor hospital where Anwar had been warded for treatment. Sources claim that Anwar had vetoed several decisions made by Wan Azizah and also rejected several candidates put forward by Azmin. Observers believe that this bodes ill for PKR, given that it required a last-minute intervention from the prison-bound Anwar to ward off a potential disaster for the party. They believe that the feud between the president and her deputy is also a harbinger of what will come in the party’s central executive committee election, where the rival camps will vie for the top posts. How well their candidates perform in GE14 will have a big impact on how much influence they will wield in being able to arrange their own lineups in the party elections. Some believe that Azmin is the most qualified on the candidates selection issue as he knows which candidates can eke out a win in Selangor, where he is the Menteri Besar. The problem, however, goes beyond just the feud between Azmin and Wan Azizah. The fractured nature of PKR, say observers, have led to the rise of factionalism within the party, with PKR now split into five groups. While Anwar may have his preferred candidates, so do Wan Azizah, Azmin, Saifuddin Nasution and Rafizi Ramli. This has in turn sparked a ‘psy war’ among the camps, with rival factions using WhatsApp and other social media platforms as their battleground. The latest evidence of this was seen in a ‘leaked’ PKR candidates list, which Azmin’s camp was later prompted to reject as false. This very friction has also had a trickle down effect, causing unease and confusion among other opposition parties which are depending on PKR for their candidates’ appointment letters, given that they are all contesting under one banner. Political pundits believe that this is just the beginning and that the rift will deepen even further once the party elections comes around. Democratic Action Party, which has been proven to Chinese Chauvinists and desires to wipe out the Special Malay Rights enshrined in the Federal Constitution and oppose any bills brought forth for the interest of the development of Malays and Islam, has slowly uncovered their wicked plan to gain control through the upcoming 14GE. DAP is fielding two young Melayus amongst majority Chinese candidates for the Selangor State seats. One of the, is a 30 years old Jamaliah Jamaluddin, who is a Majlis Bandaraya Petaling Jaya Councillor since 2006, She is also the grand daughter of a notorious leftist Angkatan Wanita Sedar (AWAS), who annexed into the Malayan Communist Party and eventually turned a ruthless terrorist. ULASAN | Saya, Jamaliah Jamaludin ingin mengucapkan terima kasih kepada pimpinan parti DAP ke atas kepercayaan dan keyakinan terhadap saya dan telah mengumumkan saya sebagai bakal calon kawasan DUN Bandar Utama, Selangor pada hari ini. Saya berumur 29 tahun dan telah berkhidmat sebagai anggota Majlis Bandar Raya Petaling Jaya sejak tahun 2016. Saya juga telah menyertai parti DAP sejak awal tahun 2016 kerana ia merupakan sebuah parti yang memperjuangkan hak dan kepentingan rakyat tanpa mengira bangsa, agama, jantina dan pendapatan. Nenek saya adalah allahyarhamah Shamsiah Fakeh, seorang wirawati dan pejuang bangsa yang amat penting dalam sejarah kita. Beliau adalah pemimpin AWAS, organisasi wanita pertama dalam sejarah Malaysia, dan beliau juga merupakan seorang pejuang kemerdekaan pada waktu Tanah Melayu dijajah oleh British. “Sebenarnya aku bukanlah pemimpin wanita Parti Komunis Malaya atau seorang tokoh wanita yang terkemuka. Ini adalah kata-kata nenek saya. Nenek saya adalah idola saya. Jikalau bukan apa yang nenek sentiasa ajarkan kepada saya tentang perjuangan, tentang Malaysia ini tanah milik kita semua, tidak kira apa jua kaum, bangsa, jantina, tentang berani dan betul, saya tidak akan mempunyai satu impian pada suatu hari, kita akan mempunyai satu kita akan mempunyai satu negara yang berpaksikan rakyat dan bukan kroni. Pada masa penjajahan British, nenek saya tiada pilihan selain daripada menyertai dalam perjuangan dan peperangan. Hari ini, saya berjuang atas prinsip menegakkan keadilan, mengukuhkan sistem demokrasi berparlimen dan menolak politik rasuah, perkauman dan ekstremisme. Oleh itu, saya telah memilih berjuang bersama DAP dan Pakatan Harapan untuk Umno-BN yang telah merosakkan Malaysia sebagai sebuah negara kleptokrasi terkemuka antarabangsa. Pimpinan DAP dan Pakatan Harapan telah memberi kepercayaan kepada saya untuk menyumbang dan berbakti kepada negara ini, sebagai seorang anak muda, seorang wanita, dan seorang cucu srikandi bangsa. Saya akan meneruskan perjalanan saya, dan saya tidak akan berhenti sehingga impian saya dan impian semua rakyat Malaysia ini dibebaskan daripada cengkaman Umno dan BN dicapai. Demi Malaysia baru yang lebih baik, demi masa depan Malaysia tercinta! JAMALIAH JAMALUDDIN ialah bakal calon DAP dan Pakatan Harapan DUN Bandar Utama. As DAP leaders under Supremo Generalissimo Lim Kit Siang more aggressive, provocative and insidious of stirring issues which include materials uttered which should be investigated under Seditious Act, the heat is coming up on the strategy of the ‘politics of hatred’. So other streams of DAP Chauvinist Chinese leaders in the likes of Ng Koo Ham, Nga For Ming, Teresa Kok and ‘Superman’ Hew. They play the role of protagonists, similar to run up of the IIIGE on 10 May 1969, where the Police blamed “Radical elements” incite the people of opposition ethnic groups to clash beginning of 13 May 1969. The “Radical Elements” is believed to the leaders of Malayan Communist Party, infiltrating to the political parties and trade unions and sow the ‘politics of hatred’. This is clear when the Second Emergency was started from June 1968 and their infiltration through civilian bodies were seamless, can be seen in the outcome of the tensions created and escalating which erupted as racial riots a year later. The conflict may not come in the short term but as these DAP brainwashed Melayus started to seep through the Malaysian community especially the Melayus and the younger generation, they would start to slow incite their targets and ‘new converts’ to challenge the norms, conservative nature and manner how to go about life and stir things about. Of course, then the more arrogant, rude and protagonist leaders would be more aggreesive to create the discomfort, distrust and eventually the strategy of ‘politics of hatred’ would be infuse seamlessly. Then the more conservative majority would try to stand up against all the protagonist challenges, humiliation and escalated accusations. However, it would be too late as the tension between groups would be so high and thick. Upon the unleash of conflict, the usual cries scripted as of “Majority oppressing the minority”, “Police state!” etc would be perpetuated if not escalated through global media. It is highly probable that foreign powers, especially super power like United States would intervene with ‘armed forces ready to discharge the use of lethal force’, especially when their enterprises, interests and/or individuals being compromised not only by the tension conflict between groups but the emergence of terrorist cells such as DAESH in seizing the moment of chaos and creating hazards in the nation. The Third Emergency when we know the nation is under the control by proxy of a superpower, establishing an associate state in the region for their interests. Prime Minister Dato’ Sri Mohd. Najib Tun Razak said that on top of the effective management, Federal Government policies are some of the key success factors of Permodalan Nasional Berhad’s (PNB) 40 years success in the Minggu Saham Amanah Malaysia 2018 in Batu Pahat today. “Polisi Pak Pandir Pembangkang”, he quipped on the Oppositions’ manifesto to rescind Goods Services Tax and re-introduce Sales and Services Tax it replaces. “I saw on television the other day. If I am not mistaken, an accountant said there is no guarantee that prices of goods would reduce if GST is taken away”. He also cautioned that the good fortune from the growth and expansion of PNB over the past forty years would end and start to decline, if the Opposition comes to power. PM Datuk Seri Najib Razak at the launching of Malaysian Unit Trust Week at the Batu Pahat Stadium today. BATU PAHAT, April 19 2018 : The people’s investment in Permodalan Nasional Bhd (PNB) will be affected if the opposition were to wrest control of the government with their ‘Pak Pandir’ policy, Datuk Seri Najib Razak said. The Prime Minister said based on the Ministry of Finance’s findings, the abolition of tolls, goods and services tax (GST) and the National Higher Education Fund Corporation, as promised in the opposition manifesto, would increase the national debt to RM1 trillion or 80 per cent of gross domestic product (GDP) from 50.8 per cent. “It will have a bad effect on Bursa Malaysia… the currency will be affected.. PNB will be affected.. unit trusts will be affected. “Bursa (Malaysia) is getting stronger. This is a closely linked the farsighted economic management of the country. This is not a trivial matter to be politicised,” he said at the launch of the Malaysian Unit Trust Week at the Batu Pahat Stadium here today. Prime Minister Najib also announces on behalf of PNB that a RM700,000 contribution for.he haemodialisis unit at Batu Pahat Hospital. The other announcement is PNB would be participating in building 5,000 affordable homes in Johor. Again, where is the beef? This alleged white collar crimes involving individuals named by deposed US Attorney Loretta Lynch announced with the intent to cause ‘shock and awe’ almost two years ago really have so far been proven baseless, since no one has been charged anywhere with any acts of crime. JAKARTA – An Indonesian court on Tuesday (April 17) ruled that the seizure of a luxury yacht linked to a US investigation into scandal-ridden state fund 1Malaysia Development Berhad (1MDB) was invalid and without legal basis. “We declare the confiscation by police as invalid and legally baseless,” Justice Ratmoho told the hearing at the South Jakarta District Court. On Feb 28, Indonesian police in Bali confiscated the 92-metre, Cayman Islands-registered Equanimity yacht off Bali as part of a joint operation with the US Federal Bureau of Investigation. Mr Ratmoho said the seizure should have been carried out “under the reciprocal legal assistance framework as stipulated by the 2006 law, which gives the mandate to the law and human rights ministry,” and not the police. The US Department of Justice had earlier alleged that the Equanimity, valued at US$250 million (S$328 million), was among assets purchased by Malaysian banker Low Taek Jho, also known as Jho Low, using funds siphoned from 1MDB. The funds, believed to be more than US$4.5 billion, were laundered in several countries including the US. The department filed a civil case in June 2017 in a bid to recover the assets. Mr Ratmoho also said there has been no court ruling that the owner of the yacht committed a crime. “(If) there is no (proven) crime, there should not be any confiscation,” he said. The US court documents say that Mr Low, an associate of Malaysian Prime Minister Najib Razak, had no formal role at 1MDB, but had considerable decision-making influence. But in early March, Malaysia’s national police chief Mohamad Fuzi Harun, citing an on-going investigation, said Mr Low never worked for 1MDB and he did not make any business decision for the company. The Bali police had planned to hand over the confiscated yacht to the US authorities after the Feb 28 seizure, but the company claiming legal ownership of the yacht took the matter to court in Indonesia, citing legal flaws. Mr Andi Simangunsong, a lawyer representing Equanimity Cayman Ltd, told reporters earlier this month (April) that the yacht was not linked to any criminal case in Indonesia, therefore the local police had no authority to seize the vessel. He added that a reciprocal legal assistance arrangement between Indonesia and a foreign country is possible but it must go through the law and human rights ministry, not just through the police. He argued that the handing over of the yacht to the US authorities by the police would constitute a breach of legal procedures. 1MDB’s woes have weighed down Datuk Seri Najib politically, following a July 2015 revelation that some US$700 million (S$922 million) allegedly linked to the state fund were deposited into his personal accounts. Mr Najib has said the money was a political donation from Saudi royals. He has been cleared of any wrongdoing by the Malaysian authorities. Unless proven with evidence, it is considered malicious slander and lies. 1MDB Chief Executive Officer Arul Kanda Kandasamy had been very consistent since he started talking to media about 1MDB about there is “No theft from 1MDB”. Now, Arul opined that the Opposition is now having him on their sights and began shelling indiscriminately. INTERVIEW | In the run-up to the 14th general election, 1MDB chief executive Arul Kanda Kandasamy has been zipping around the country to explain issues plaguing the state fund, which is expected to be a key election issue. In an interview with Malaysiakini, he revealed a long list of places where he had visited to conduct town hall meetings, which he believes had courted attention from the opposition. “Each time he speaks about 1MDB, he must mention Arul Kanda. I think the guy really loves me. But what’s interesting is also that DAP has recently rolled out a big bazooka, in terms of Lim Kit Siang, the supremo. “So, to me, it shows that the opposition is genuinely worried and concerned at the fact that we’re going around sharing information and facts openly, having question-and-answer sessions and allowing anyone to attend. “I think this has destabilised them and they realise they need to go one step above Tony Pua, and get Lim Kit Siang to come out and start attacking Arul Kanda to chip away at the credibility, because they are concerned that the message is now getting across,” he added. Arul Kanda was referring to Lim (photo), who earlier this month accused him of peddling fake news about the 1MDB scandal. This was after Arul Kanda told Indonesian magazine Tempo in an interview that he had no knowledge of businessperson Low Taek Jho’s relationship with Prime Minister Najib Abdul Razak or the latter’s stepson Riza Aziz. Lim had also challenged Arul Kanda to stand in GE14 on a “1MDB ticket” instead of going on a nationwide roadshow. However, Arul Kanda said he intends to press on with the roadshows. Asked if this was a form of campaigning on behalf of BN, he stressed that it was his duty to explain 1MDB’s position. “What you have now are the investigations which frankly don’t involve us directly,” he said, in an apparent reference to the US Department of Justice probe, as well as investigations in several other jurisdictions. “However, the opposition and the media are spinning these things to implicate the company and by extension, the Finance Ministry and government, to make them look bad. “So, our role is to give the company’s perspective, the story of the events and to give facts. Then people can decide based on that,” Arul Kanda added. Arul even explained about the assets and obligations of 1MDB, including the financial instruments involved. INTERVIEW | Arul Kanda Kandasamy was brought into 1MDB as its chief executive officer at a time of crisis, in early 2015, as debt collectors came knocking in. At that time, 1MDB was also facing mounting pressure on the status of Brazen Sky Ltd’s US$2.33 billion “units” investment in a Cayman Islands-registered fund. Brazen Sky is a subsidiary of 1MDB. This was Arul Kanda’s first order of business when he declared, a week after his appointment, that the 2012 Cayman Islands investment had been fully redeemed. “1MDB hopes that the redemption of these funds, in full, draws a line under this matter,” he said in a statement on Jan 13, 2015. But to date, a line could not be drawn as the investment in Bridge Global Absolute Return Fund SPC, the Cayman Islands-registered fund, was never fully redeemed. Malaysiakini, in a recent interview with Arul Kanda, grilled him about the status of the “fund units”. When Arul declared the Brazen Sky “fund units” were fully redeemed at the beginning of his tenure, US$1.39 billion was supposedly in cash and immediately expended while the remaining US$940 million in units was meant for a sale to Aabar Investments PJS Limited (Aabar BVI). It caused a stir when caretaker prime minister Najib Abdul Razak, who is also caretaker finance minister, claimed the remaining amount was also redeemed “in cash” but the Finance Ministry was later forced to clarify, two months later, that it was still in “fund units”. Arul Kanda later took the rap, claiming that he thought the redemption was fully in cash as he was unaware of the planned sale of a portion of the fund units, which was inked before his appointment. The sale of the remaining US$940 million Brazen Sky “fund units” to Aabar BVI never took place. The standard explanation, and reiterated by Arul during the interview, was that the planned sale was “superseded” by the binding term sheet with the International Petroleum Investment Company (IPIC) on May 27, 2015. But even this did not go through as the deal eventually fell apart and both 1MDB and IPIC went to arbitration and later, a settlement. So, three years after Arul Kanda declared the Brazen Sky “fund units” were fully redeemed, what has happened to the remaining US$940 million? Highly intelligent and polished in his oratory skill from his debating days, Arul Kanda had a set explanation for every question hurled at him and rarely deviates from them. He was initially coy about the remaining “fund units” but after repeated grilling, he acknowledged that they remain unredeemed. Below is a transcript of that conversation, which has been edited for brevity, grammar and accuracy. Malaysiakini: In terms of the Brazen Sky units, ultimately you redeemed a part of it. What’s the status of the remaining US$940 million? Was it fully redeemed? Arul Kanda: So in terms of the fund units that I told you, we have a rationalisation plan, and the plan required us to monetise our assets, over time, to meet our obligations. So there is an ongoing process and you have seen 1MDB has met every single interest payment under the remaining debt, so we have a process under which we have progressively monetised our assets as a whole. Malaysiakini: But with regard to the US$940 million, has it been drawn down to pay for something or is it still US$940 million (in fund units)? Arul Kanda: We have partially monetised some of the fund investment. Arul Kanda: Well, I can speak in general terms, right? We have partially monetised, but as I told you, we have a programme and we will utilise what is most efficient for the company and in terms of meeting our immediate requirements. Malaysiakini: So, are you not willing to answer in terms of what happened to those units? Arul Kanda: No, I am not saying that. Malaysiakini: I mean you answered in very general terms but we asked you a very specific question. Arul Kanda: I am saying in general terms because… you are welcomed to ask whatever questions you want, guys, this is an open scenario… and equally, I can give you the answer, right? You have to bear in mind, we have commercial considerations and we have also confidentiality considerations. Remember, we signed the settlement agreement with IPIC, the settlement agreement covered a lot of things. But frankly, we have constraints on what we can say and what we can’t say. So ultimately, I would love to answer your question, but there are commercial considerations and confidentiality considerations. Malaysiakini: Are you suggesting that what happened to those (Brazen Sky) units is confidential? I think you have a duty to somehow give an explanation to Malaysians what exactly happened to those units. Arul Kanda: Well, as I told you, there is a rationalisation plan and from the company’s perspective, it will be used the in the most efficient way to monetise its assets, over time, in order to pay the debt – that’s our responsibility. 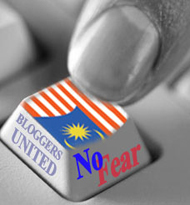 Malaysiakini: Forgive us for harping on the remainder of the fund units. The reason why we are actually on this is simply because a couple of days after you took on the job, you told the Malaysian people that this has been fully redeemed. As you stated, there was some confusion about the fund units and it was later superseded by the IPIC binding term sheet. So, to date, more than three years since you made the public statement and told Malaysians that this has been disposed of, it still seems to be there. So we would like you, if you could, to explain what is the status. Arul Kanda: You keep asking the same question, you have to let me answer. So how and what is monetised over time is a function of what is the most efficient for the company to do. That’s the simple answer. So I can’t tell you today that I will monetise the units, or tomorrow I will monetise the lands or the day after I will monetise the other. At the point in time, what is most efficient for the company, that’s all we will do. Malaysiakini: Will you, or will you not, go on record to explain the status of the remainder of the Brazen Sky units. If you are not willing, then we will move on. Arul Kanda: As I said, the value is there, we are always open about it. Arul Kanda: US$2.5 billion. We are open about that. Malaysiakini: That was before the earlier redemption, what’s the remaining amount? Arul Kanda: We maintained US$2.5 billion as the value and as I told you, what we monetise – Edra, land, fund investment – it depends on the needs of the company and what is most efficient. The total assets of the company today are RM43 billion – I have publicly stated that – they make up of the land value, the fund investment and also Aabar BVI deposits. That’s RM43 billion. Malaysiakini: US$2.5 billion is Brazen Sky units? Arul Kanda: No, no, approximate US$940 million is Brazen Sky. US$1.5 billion is 1MDB Global Investment Ltd (1MDB GIL). Malaysiakini: So, meaning this US$2.5 billion is still available? Has it not been disposed of? Arul Kanda: Yes, as I told you, we got a plan over time and we have multiple assets and we will utilise or monetise the assets as needed to meet the requirement. But if your question is what is the value of the company’s assets today, the value of the company’s assets today that we have publicly stated is RM43 billion. But remember, as I said, some of the assets have been transferred to the Finance Ministry, some are still on the balance sheet, you know. Malaysiakini: So the US$2.5 billion is still available for 1MDB to use? Arul Kanda: Of course, it is part of the rationalisation plan. For clarity, 1MDB had invested almost US$3.83 billion in “fund units”. This was US$2.33 billion by Brazen Sky and US$1.5 billion by 1MDB GIL. Both are 1MDB subsidiaries. After previous redemptions in 2014, the remaining sum of the Brazen Sky investment stands at US$940 million and coupled with 1MDB GIL, now stands at close to US$2.5 billion. The repeated delays in disposing of the “fund units”, which would, in theory, be more liquid than assets such as power plants and land, raise concern about the Department of Justice’s claim that they are “relatively worthless”. Going by the DOJ court filings, the “fund units”, including the Brazen Sky investment, were a front for money that had already been misappropriated. But if the “fund units” were worthless, how could 1MDB possibly redeem US$1.39 billion from the initial US$2.33 billion in the “fund units”? The DOJ claimed this was achieved through a US$975 million Deutsche Bank loan which, through multiple intermediaries, was sent to Brazen Sky’s account. Brazen Sky then sent the money out again, and after passing through the same intermediaries, the money came back to it. “The purpose of this unnecessarily complicated funds flow was to create the appearance that fund units in the Brazen Sky Account were being redeemed for cash and being paid forward to 1MDB, thereby fraudulently disguising the fact that the fund units were illiquid and relatively worthless,” the DOJ said in its filing. But for Arul Kanda, the DOJ filings are unproven claims which have been sensationalised. “I think there’s complete sensationalisation, right? How many times has the US attorney-general conducted a press conference with this huge supporting cast, just to say this lawsuit is being filed. “And if you look at the content of the lawsuit, there’s a lot of info, which is actually not relevant to the genesis of the case, which is the attempt to seize certain asset from a certain named person. That’s one part of it. “The second part of it, despite that razzmatazz press conference, very serious allegations were made but two years on, that civil lawsuit has still not gone to court. “The DOJ itself has requested for a stay to be extended further recently. To me, that’s not in the interest of justice. I am speaking generally because of the case. As far as 1MDB is concerned, we are not involved in the case,” Arul Kanda said. Likewise, he a pointed out that there was no admission of guilt in caretaker prime minister Najib Abdul Razak’s stepson Riza Aziz’s move to settle with the DOJ. The DOJ had implicated Riza as one of the beneficiaries of allegedly misappropriated 1MDB funds. “So this DOJ lawsuit raises a lot more questions,” Arul Kanda said. The settlement is specific to Red Granite Productions, a film production company co-owned by Riza. He has also been named in the forfeiture of other assets allegedly acquired using 1MDB-linked funds which remain unresolved. Who is managing the units? Meanwhile, Arul Kanda was not willing to reveal what entity is currently managing the so-called “fund units”. Specifically asked about this twice during the interview, Arul Kanda said that the question was “not relevant” and stuck to his script that 1MDB’s various assets, including the US$2.5 billion worth in “units” would be monetised eventually. “I think the more relevant question is what is the importance of the fund investment. “If you look at the rationalisation plan, there three parts: Number 1 – The disposal of Edra in order to generate cash that was used to pay debt and manage our operations. Number 2 – the development and sale of land – TRX and Bandar Malaysia, etc. 1MDB GIL and Brazen Sky, it fluctuates, depending on the valuation, then US$3.5 billion deposit paid to Aabar BVI. “Well again, we can go back and talk about this, frankly that’s not relevant, right? What is relevant is, can 1MDB, over time, monetise its assets in an efficient enough manner in order to meet its debt obligation? “And the answer to that, as you have seen, we presented to the PAC and we explained to the people, this is assets that are available and this is our plan over time to pay,” he said. It was previously reported that Bridge Partners Investments Management (Cayman) Ltd was the fund manager, However, it’s track record has been brought into question. Arul Kanda told the PAC that BSI Bank, which is where Brazen Sky had its account, introduced the fund manager. BSI Bank has since been shut down by authorities for serious regulatory oversight in relation to the 1MDB matter. The allegations without evidence includes Chairman of Opposition pack Tun Dr. Mahathir Mohamad. The Fourth Prime Minister has heightened his attacks on Prime Minister Dato’ Sri Mohd. Najib Tun Razak since over three years ago, with Jho Low being the top of the scapegoats to sow the strategy of ‘Politics of Hatred’. He totally refused to accept the Public Accounts Committee report which was published and the testimony of Deputy PAC Chairman Dr Tang Seng Giaw, who is DAP MP for Kepong, that there is no evidence of Prime Minister Najib involvement in 1MDB woes. Even former MITI Minister who is currently the Chairman of AirAsia X Tan Sri Rafidah Aziz took the opportunity to add salt to injury, by insinuating that not enough efforts done to recover assets allegedly stolen from 1MDB. PETALING JAYA: Fomer Cabinet minister Tan Sri Rafidah Aziz claims she managed to locate the luxury yacht “Equanimity” in waters off Phuket, Thailand last year. On her Facebook page on Sunday, Rafidah posted photos and videos that she took of the yacht, which has been linked to personalities surrounding 1Malaysia Development Bhd (1MDB). One photo showed crew members on board the Equanimity as it sailed while another had the yacht’s tender (a smaller boat used to transport people and supplies between the yatch and shore) docked at the marina in Phuket at night with two people standing next to it. Rafidah said she managed to pinpoint the exact location of the Equanimity using the vessel’s automatic identification system while on a diving trip one year ago. She said she was told that the tender was docked in Phuket that night as the owner was celebrating Valentine’s Day on shore with his guests. She added that a simple Internet search was able to reveal the owners of the yatch and quoted the ‘SuperYatchFan’ website, which named Low Taek Jho and his Hong-Kong based investment fund Jynwel Capital as the owner of the vessel, valued at US$250mil (RM974.5mil). On Thursday (March 1), Multimedia and Communication Minister Salleh Said Keruak released a statement saying that there is no tangible proof that the Equanimity is owned by Low, better known as Jho Low. Salleh Said’s statement came after Reuters reported that Indonesia had seized the Equanimity in Bali. It said that the yacht was being sought by the US Department of Justice as part of a multibillion-dollar corruption investigation linked to 1MDB. It also mentioned there were 34 crew members on board. It is quite easy to sum things up. Police investigation papers, no. Charge, no. Trial, no. Judgment, no. Sentence, no. Have some people been eating bisons and trying to pass them as beef? A week is a long time in politics and what a week it has been in the politics of Johor – from the Crown Prince’s controversial statement on the politics of his state to the chaotic supermarket run on Wednesday night. The Johor palace which has been closely watching the unfolding political developments seems to have stepped up its game. And it is a game where the royals set the rules and the rest of us watch on, not quite understanding how the game is played. Although Tunku Mahkota Johor Tunku Ismail Sultan Ibrahim or TMJ as he is known, said that his statement on Johor politics came from his heart, the perception was that he would not have acted without his father’s blessings. All this has to be seen in the context of the image of the Sultan of Johor. His popularity is at an all time high, he has built up a reputation as the people’s Sultan and everywhere one turns in Johor Baru, there are billboards declaring, “Daulat Tuanku”. Although the palace angst seems to be aimed squarely at Tun Dr Mahathir Mohamad, it affects the rest of Pakatan Harapan given that he is their Prime Minister nominee. “The palace signal could not be clearer, it was like a sharp spear. How do you react to that?” said a DAP politician. According to the DAP politician, it might impede the Malay momentum that Pakatan needs in Johor and it has complicated DAP’s push to win more seats and make inroads into the mixed seats. “Even people who have warmed up to us, they will be asking themselves whether there will be a confrontation with the palace when it comes to appointing the MB,” he said. But even without the palace factor, DAP had encountered problems in its grand design to wipe out MCA in Johor. The plan to move their big names to difficult seats in Johor and elsewhere has not been smooth. The strategy was to pitch their big names against counterparts from MCA and Gerakan or what DAP leaders termed a contest of “king fight king”. However, not many DAP big names were willing to risk it, with several of them indicating they will only move to seats where they can be assured of winning. To date, only Kluang MP Liew Chin Tong has taken what is seen as a real plunge, venturing into Ayer Hitam to take on the MCA deputy president. Ironically, the biggest fight may be in Perak rather than in Johor. Perak DAP chairman Nga Kor Ming is expected to take on Gerakan president Datuk Seri Mah Siew Keong in Teluk Intan. His star in the party will rise if he beats Mah. Kulai MP Teo Nie Ching who raised the battle cry to wipe out MCA – she used the term “wei jiao” (annihilate) – has backed away from taking on MCA vice-president Datuk Chua Tee Yong in Labis. She wants to remain in Kulai which she won by more than 13,000 votes in 2013. Gobind Singh Deo, the son of the late Karpal Singh, is also reluctant to leave his Puchong seat. He was asked to consider Labis but after checking out the constituency, he decided against it. The DAP leadership had also tried to make Skudai assemblyman Dr Boo Cheng Hau go to, first, Ayer Hitam and then Labis. Lim Kit Siang had personally met Dr Boo to persuade him but Dr Boo’s view is that the party should have given him more notice so that he could have carried out some political programmes instead of just parachuting in. He has insisted on remaining in Skudai where he managed to maintain the people’s support despite being sidelined by the DAP leadership. Dr Boo’s former protege Tan Hong Pin, who is Mengkibol assemblyman, recently posted an open letter on Facebook pressing Dr Boo to take a risk and make a sacrifice for the future of the party. Tan said he was willing to give up his Mengkibol seat and go to Skudai. That upset Dr Boo’s supporters who slammed Tan for betraying the man who used to be his sifu. The fact that Wong Tack is again contesting in Bentong against MCA president Datuk Seri Liow Tiong Lai suggests that DAP is unable to live up to its “king fight king” objective. Wong was a sensation in 2013 when he projected himself as a passionate environmentalist before falling off the radar screen. He cannot compare to what Liow has brought to Bentong and putting Wong against the MCA president makes the battle elsewhere less convincing. There are several other reasons as to why the DAP offensive in Johor may have backfired. The Chinese do not agree with the idea of wiping out MCA which has played a significant role in sorting out Chinese issues and providing the link between the government and SMEs and other businesses. The community, especially the business sector and Chinese guilds and associations, have expressed concern about a move that will see “Chinese kill Chinese”. But wasn’t that what the Chinese voters did to MCA and Gerakan in the 2013 general election? The thing is that in 2013, Chinese voters were told that they were voting against Umno but the end result saw the Chinese almost wiping out MCA and Gerakan candidates. This time, it was a direct pitch to finish off MCA and it did not go down well with community leaders, they do not support the strategy to wipe out MCA. Some of them have asked why they should kill off Dr Wee who has championed Chinese education and spoken up on Chinese issues. They see him as a capable leader. They feel that they are being asked to choose between “fish and bear’s paw” or “yu yu xiong zhang”, a classic Chinese saying denoting a difficult choice between two rare delicacies during China’s imperial era. It is not like gambling, where you can bet on both Sports Toto and 4D at the same time. Those critical of the strategy said it was conceived by an elite group in the party who did not brainstorm before deciding to implement it. The plan was also viewed with suspicion by some who perceived it as a scheme to get rid of people who are not aligned to the powerful Lims. The DAP offensive was also supposed to be complemented by its partners. DAP, said the above party politician, had hoped that big names like Tan Sri Muhyiddin Yassin, Nurul Izzah Anwar and Mohamed Sabu would move south to lend their clout. As Pakatan’s Mentri Besar candidate, Muhyiddin ought to be taking on Datuk Seri Khaled Nordin in Kempas and Pasir Gudang. But the former Deputy Prime Minister is contesting in Pagoh as well as the Gambir state seat. Mat Sabu has opted for a safe seat in Kota Raja, Selangor, while Nurul Izzah is eyeing a safe haven in either Permatang Pauh or Pandan. The Malay partners failed to rise to the occasion and that is why it is difficult to convince people that a Malay tsunami is on the way. With DAP alone playing the strongman politics has also sent the wrong signal to the Malays in Johor. Aiming to capture Johor was a high-stakes game and DAP seems to have under-estimated the distrust that the Malay rulers have for Dr Mahathir. It was quite a blow to be labelled a “fork-tongued individual”. It is too late to back off. “When you beat the war drum, you’ve got to charge ahead or else the urge to win will be deflated,” said the above DAP politician, borrowing from the ancient Chinese strategist Zhuge Liang. Perhaps the most curious aspect of DAP’s “king fight king” strategy is that only the second liners are being sent to the battlefront, while the top guns are staying put in areas where even a banana tree would have won as a DAP candidate. It gave the impression that the top leaders were not willing to do or die. But those who have been studying Lim’s politics over the years think the Gelang Patah MP may have a surprise up his sleeves. They cannot believe that DAP’s most powerful figure will take the easy way out and remain in Gelang Patah which he won with a majority of more than 14,000 votes. Speculation that he would risk it all in Johor Baru seems to have petered off. Some thought he would go to Bentong but that is now also out of the equation. A new round of speculation has begun over where Lim will go. Will he stay put in Gelang Patah or will he head north? The mood in Johor now isn’t what it was in 13GE, ‘Ubah’. Johoreans, who would be the receiving end by the 14GE, isn’t quite convince their agenda would looked after for than the invading armies of evil. The past ten years, the transformation in Johor especially in the southern region has been tremendous. 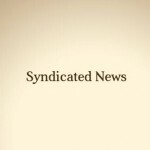 The state now boost that the fourth most wealthiest in the Federation. The Iskandar Region area, RAPID in Penggerang and the expansion of Johor Bahru limits manifest the physical growth Johoreans saw and gotten benefit of. As simple as the massive highway system all over southern Johor, opened up new residential, commercial and industrial developments. That comes with the mushrooming of hypermarkets, which trickles down more opportunities for the local. Johor also is proud of the program to provide affordable housing, even within the Johor Bahru city limits. An urban myth about Sultan Johor Almarhum Sultan Iskandar Ibni Almarhum Sultan Ismail, pertaining to being the cause of Private Adam Jaafar went amok thirty years ago was unravelled. Selepas lebih 30 tahun akhirnya ahli keluarga Prebet Adam yang dikaitkan dengan insiden membabitkan keluarga diraja Johor membuat pengakuan hari ini. Kata adik bekas anggota tentera itu Hawa Jaafar abangnya itu bukannya meninggal dunia akibat dibunuh almarhum Sultan Johor, Sultan Iskandar Sultan Ismail. “Adam mengamuk di Jalan Chow Kit pada 1987 kerana masalah di tempat kerja, bukannya kerana adik kami dibunuh almarhum sultan,” katanya seperti dipetik BH Online hari ini. Nama Prebet Adam menjadi perhatian selepas dia mencuri selaras mesingan M-16 dan motosikal dari kem tentera di Ipoh dan menuju ke Kuala Lumpur. Dia berusia 23 tahun ketika itu. Dalam kejadian 17 Okt 1987 itu, Adam yang memiliki kemahiran sebagai penembak tepat tiba di Kuala Lumpur ketika keadaan politik sedang panas. Dia kemudian mengamuk dengan melepaskan tembakan menggunakan M-16 menyebabkan seorang maut dan beberapa yang lain cedera. Pada kaca di bilik hotel tempat Adam menginap sementara, ditemui mesej yang di tulis pada cerminnya: Malam sial untuk Adam. Misi: membunuh atau dibunuh. Dia menyerah diri kepada dua jeneral tentera yang berunding dengannya pada petang 19 Okt. Insiden itu mencetuskan cakap-cakap yang tidak dibuktikan bahawa Adam berang kerana adiknya mati di tangan Sultan Iskandar. Semalam pewaris takhta Johor, Tunku Ismail Sultan Ibrahim – juga cucuanda kepada Sultan Iskandar – memberikan hadiah kepada sejumlah pengunjung pasar raya AEON di Tebrau City. Tunku Ismail membelanjakan sejumlah RM1 juta – atau RM3,000 untuk satu kepala – buat pengunjung bertuah pasar raya berkenaan. Hari ini pasar raya berkenaan ditutup sehingga notis lain dikeluarkan. Perkembangan yang menggembirakan banyak pihak itu juga berlaku beberapa hari selepas Tunku Ismail membuat kenyataan mengecam pemimpin tertentu yang disifatkannya sebagai “lidah bercabang”. Ia mendapat reaksi yang rencam daripada pelbagai pihak dan segera menghangatkan keadaan kerana ia berlaku selepas Parlimen Malaysia dibubarkan. Hawa berkata semua adik-beradiknya masih hidup kecuali seorang yang meninggal dunia pada 1975. Itu pun – katanya yang ditemui media di George Town, Pulau Pinang – akibat kebakaran rumah. “Saya minta maaf kepada keluarga Diraja Tunku Mahkota Johor (TMJ), Tunku Ismail Sultan Ibrahim, kerana terpalit dengan fitnah yang membabitkan abang saya, Prebet Adam,” katanya dipetik BH Online. Private Adam’s family stepped forward to tell their side of the story believed to be inspired by Tunku Mahkota Johor Tunku Ismail Ibni Sultan Ibrahim’s posting in the Southern Tigers Facebook, warning against “The man with forked tongue”. Amongst many of Almarhum Sultan Iskandar’s, passion is the Armed Forces. He ascended as the eighth Seri Paduka Yang DiPertuan Agong on 26 April 1984 and assumed the Commander in Chief of the Armed Forces. He made it a point to visit Armed Forces on duty during Hari Raya Aidil Fitri holidays, be it at the borders or on warship patrolling the nation’s waters. When he ascended the Johor Throne in 1981, he read Friday prayers sermon in mosques all over the state. As the Yang DiPertuan Agong, he addressed the congregation after Aidil Fitri Hari Raya prayers. Almarhum Sultan Iskandar was indeed a very kind and generous Ruler. He is a very caring Sultan too. The noble trait is also manifested in his son, present Sultan Johor Sultan Ibrahim Ibni Almarhum Sultan Iskandar and grandson, Tunku Mahkota Johor Tunku Ismail Ibni Sultan Ibrahim. It is good that we Malaysians be reminded of ‘Gurindam Dua Belas’. Keluarlah fi’il yang tiada senonoh. Almarhum Sultan Iskandar lived up to the expectation of the Ruler of Johor, how envisaged and chronicled by Raja Ali Haji, one hundred seventy five years ago. Last night Barisan Nasional (BN) Chairman, Prime Minister Dato’ Sri Mohd. Najib Tun Razak launched and unveiled the BN Manifesto, spectacular in form and substance that awed majority of Malaysians. In all, the 364 initiatives could be summed up as the fourteen core offerings. It is more visible when the 220 page book is summarised. KUALA LUMPUR: Barisan Nasional’s general election manifesto unveiled by Datuk Seri Najib Tun Razak Saturday night contains 341 initiatives divided into 14 thrusts. *Facilitating the process for single women in securing loans by permitting the combination of incomes with siblings or parents who fulfil eligibility requirements. * Encouraging women to generate secondary incomes by easing microcredit loan requirements for women entrepreneurs who conduct businesses part-time. * Encouraging the private sector to allow pregnant mothers to leave work an hour early. * Extending the duration of tax incentives to 24 months for women who return to the job market. * Adapting the flexible work hour scheme for mothers with children aged 2 and below. * Providing incentives to companies that provide childcare centres and facilities for breastfeeding mothers. * Allocating 7 days of special leave per year for women who are caregivers to their children or immediate relatives who are ill.
* Establishing one-stop centres that include childcare centres and entrepreneur centres for Felda settlers, in all Felda settlements, that is administered by the Confederation of Women Felda Settlers Malaysia. * Granting tax exemptions on housing rental income. * Establishing a special bank to facilitate loans for affordable and low-cost housing priced RM300,000 and below. * Providing tax incentives or development funds to encourage banks and housing developers to offer rent-to-own schemes. * Introducing a single entity to synchronise all affordable housing initiatives, including the monitoring of construction work. * Providing a Public Housing Assistance Scheme to assist renters who may be categorised as poor or Persons with Disabilities (PWDs). * Upgrading long-houses in Sarawak, water-houses in Sabah, Orang Asli houses and estate workers housing units in the Peninsula. * Ending the policy of Bumiputera lot discounts for property valued at RM1mil and above. * Speeding up the development of the Malaysian Vision Valley, a 150,000 hectare area that is projected to create 1.3 million job opportunities. * Improving the quality of telecommunications coverage across Sabah and Sarawak with an allocation of RM2 billion. * The rights of Sabah and Sarawak under the Malaysia Agreement 1963 will be realised by consensus. * Introducing the TN50 Public Transport Pass (costing between RM50 – RM150) that gives unlimited monthly access to public transport for students, working youths, senior citizens and the disabled. * Building an electrified railway line from Subang Jaya to the Subang Skypark Terminal as part of the integration of railway transportation. * Adding more streetlights in Felda settlement areas. * Upgrading 419 kilometres of sewerage pipelines in Felda areas. * Reducing the cost of employing foreign domestic workers by introducing an Online Domestic Helper System. * Continuing efforts to develop the Small and Medium Enterprises (SME) sector to assist Chinese entrepreneurs by strengthening the role and function of the Secretariat for the Advancement of Malaysian Entrepreneurs (SAME). * Supporting food truck businesses by creating special areas for them to do business and instituting programmes for vehicle modification. * Enhancing the contribution of Small and Medium Enterprises (SMEs) to the national economy through digital transformation by providing grants and credit guarantee opportunities to expand access to new international markets. * Providing a one-off assistance of RM1,500 for the children of BR1M recipients that enrol in higher education institutes. * Raising the minimum wage in phases to at least RM1,500 within five years. * Providing a special incentive of RM5,000 to every Felda settler. * Enhancing the well-being of employees of Government-Linked Companies and Government-Linked Investment Companies who earn RM2,500 and below through expanded insurance coverage, increased healthcare benefits and increased cost of living allowance. * Creating a special grant for replantation worth up to RM7,500 per hectare for each qualified Felda settler in the next 5 years starting 2018. This grant is to reduce up to 70% replantation debt of Felda settlers. * Writing-off the Felda settlers’ debt from the purchase of FGV shares. * Allocating a special fund worth up to RM300 million to write-off extraordinary or extreme debt of all qualified Felda settlers for the next 5 years starting in 2018. * Intensifying Felda 2.0 initiative via 15 plans for 2018 and 2019 with an allocation of RM300 million to create a smart community and sustainable local economy. This initiative will be continued to all Rancangan Felda nationwide and will benefit settlers and second generations residing in Rancangan Felda. * Expanding the funds for the Agricultural Assistance Scheme and replanting of palm oil, rubber, cocoa and kenaf smallholders. * Allocating a special assistance scheme worth RM222 million for Felcra, Kesedar and Ketengah settlers. * Reducing the maximum limit on interest rates and late payment charges for credit cards. * Revising individual and corporate income tax rates to ensure Malaysia remains competitive in the regional market. * Allocating RM3 million for the Art Practitioners Welfare Fund (Tabung Kebajikan Penggiat Seni TKPS) every 5 years. * Providing an individual tax incentive of RM1,000 a year for those who contribute towards the development of national cultural arts. * Equipping five million school-going children with digital skills for the Fourth Industrial Revolution (IR 4.0) within five years. * Increasing the number of subjects in the Dual Language Programme (DLP) to make it more comprehensive. * Improving English language proficiency in schools through the Dual Language Programme (DLP), High Immersion Programme (HIP) and the introduction of English medium schools in Sabah and Sarawak as pilot projects. * Introducing special student discount cards to reduce the costs of transportation, Government services and education-related necessities. * Incorporating more historical facts and perspectives from Sabah and Sarawak to enhance the History subject syllabus. * Establishing an Institute of Native and Indigenous Peoples Studies at Universiti Malaysia Sarawak and Universiti Malaysia Sabah. * Qualified citizens with overseas examination certificates that are equivalent to Sijil Pelajaran Malaysia (SPM) and Sijil Tinggi Persekolahan Malaysia (STPM) will be considered for enrolment in higher education institutions (HEI), under the condition that they obtain a credit in Bahasa Malaysia and a pass in History – this criteria also applies to issues pertaining to Unified Examination Certificate Senior Middle (UEC). * Increasing the current individual income tax exemption rate for parents’ medical expenses from RM5,000 to RM10,000. * Transforming the police elite corps such as the Special Tactics and Intelligence Narcotics Group (STING), Special Task Force on Organised Crime (STAFOC) and the Special Task Force for Anti-Vice, Gambling and Gangsterism (STAGG) to increase the effectiveness of efforts in eradicating drugtrafficking, gambling, triad gangs and organised crime. * Increasing the number of high definition closed-circuit television cameras (CCTV HD) in high-crime areas. * Increasing the number of Voluntary Patrolling Scheme members to increase security controls and preserve the peace in areas with high crime rates. * Boosting community involvement in crime prevention through PDRM’s initiatives by using the Volunteer Smartphone Patrol application. * Ensuring all Police lock-ups in the country are equipped with high definition closed circuit television cameras (CCTV HD), as a way to prevent incidents of death, suicide and fighting during detention. *Emboldening the role of youth in national development by generating new, fresh and creative policy ideas. the role and voice of the youth at the local government level. *Implementing a Universal Child Care policy by developing a curriculum, inclusive programmes and nutritious food guidelines, besides training professional childcare personnel. *Adapting the flexible work hour scheme for mothers with children aged two and below. * Establishing a special non-Muslim unit in the Prime Minister’s Department to promote dialogue on equality and mutual understanding between races. It is a continuation and an extension of the Transformation Plan Prime Minister Najib brought the nation to embark, less than a year after ascending into office as the Seventh UMNO President, Fifth BN Chairman and Sixth Prime Minister, nine years ago. Starting with basics, three million new jobs would created. Barisan Nasional president Datuk Seri Najib Razak pledged more job opportunities for Malaysians. — Picture by Mukhriz Hazim KUALA LUMPUR, April 7 — In its14th general election manifesto, Barisan Nasional (BN) chairman Datuk Seri Najib Razak pledged the coalition will a create a whopping three million jobs for Malaysians. He said among others, it can be done by expediting the creation of the Malaysian Vision Valley (MVV) which is expected to create 1.3 million jobs. In May last year, Najib said the MVV would be developed into five clusters: the Central Business District, Nature City, Edu-Tech Valley, Tourism and Wellness, and New Liveable Township. The project would be developed over 153,000 hectares, encompassing Seremban and Port Dickson in Negeri Sembilan. State news agency Bernama previously reported Najib saying that the project was planned to be developed in phases until 2045. The manifesto launched tonight also pledged to reduce dependency on foreign workers, and to “widen” the flexible work arrangement in the public sector. The employment of those with disabilities may also be increased in various sectors, including being appointed as local councillors and Senate members. Companies which employ those with disabilities may also receive additional tax incentives. Employment opportunities for the disabled may also be widened, with the creation of a “one-stop special portal” to market their services. BN also promised to introduce financial literacy module in schools and increase the public’s financial literacy by widening the outreach of the Credit Counseling And Debt Management Agency. As previously articulated in various engagements, especially with Malaysian youths and under the context of ‘TN 50 Discourse’, the Federal Government is embarking towards the digital economy and ensuring the workforce amongst the youth and future generation would be skilled and suited for the demand of the changing economy and economic platform. Earlier in the week, independent opinion such as the Managing Partner of PwC Malaysia projected the Malaysian economy would be global 24th position by 2020. KUALA LUMPUR: Malaysia, a medium-sized economy, is expected to improve its ranking to be the 24th largest in the world by 2050. PwC Malaysia managing partner Sridharan Nair said Malaysia, already in the 27th position in terms of gross domestic product (GDP) contribution to the global economy, needed to invest in technology and education to further improve its ranking. “Malaysia has a reputation for being pro-business and pro-investment,” he told Bernama during the 2018 Asia-Pacific Council of American Chambers of Commerce Business Summit here yesterday. Malaysia would be on a steady growth path over the next 20 years, he said, adding that it would still do well despite some short-term ups and downs, as would be expected from a growing and emerging economy. Malaysia has always been a trade and investment-friendly country with ease of doing business. However, according to Nair, Malaysia needs to tackle the issue of wage increase in tandem with the higher economic growth in order to benefit the people. While Vietnam and Indonesia might rank higher in the global economy in terms of their contributions to the GDP due to the size of their population, he said, Malaysia was still doing well for a medium-sized economy. Nair said the Emerging 7 economies (Mexico, Brazil, Turkey, India, Russia, China and Indonesia) were projected to dominate the world’s top 10 economies in 2050. As part of the game to realise that, the most strategic bit of the BN Manisfesto is Prime Minister Najib intends to optimise the nation’s most prized resources; women and youth. Of course, in the minds of the common voters, their biggest concern is the rising cost of living. The past month, Federal Government through agencies have been increasing allowances and the civil servants even got an across the board raise, as a direct effort to put disposable income into peoples’ pocket. This BN Manifesto brought more goodies to the Malaysians under the B40 category, as His Majesty’s treasury chests have in a better position to alleviate their basic hardship. KUALA LUMPUR: Recipients of the 1Malaysia People’s Aid (BR1M) received a sweet surprise when Barisan Nasional chairman Datuk Seri Najib Tun Razak pledged several increments for them. In front of a 40,000-strong crowd at Axiata Arena in Bukit Jalil, Najib who is also Prime Minister announced a new BR1M category. Recipients with household incomes of RM3,000 and below will have their BR1M payment doubled from RM400 to RM800 in June and August this year. “This means that your BR1M payment for this year will be increased from RM1,200 to RM2,000,” said Najib at the launch of the election manifesto Saturday night. He also announced that those with a household income of between RM3,000 and RM4,000 will have their BR1M payment increased from RM300 to RM600 in June and August. This makes their total payout increase from RM900 to RM1,500 this year. For those who are single with a household income of RM3,000 and below will have their BR1M payment increased by RM150 in June, making it RM600. The new category for BR1M is for those with a household income of between RM4,000 and RM5,000. They will receive a total of RM700, which will be made in two payments of RM350 each in June and August. Najib said the extra funds for the BR1M payments was possible due to the good financial and economic health of the country. “We also had an increase in the Goods and Services Tax (GST) collection, which the Opposition often criticises. “Because of our strong economy, the Barisan government would like to share the initiatives with the people,” he said. All the increase in allowances, salary and direct subsistence would translate a more active domestic market and would promote the bigger cycle for every Ringgit available in the open. It is by far the boldness economic transformation agenda, by optimising all domestic resources having the complete systemic support of affordable homes to all, higher quality of life, higher productivity from higher skilled workforce which translate to higher household income, more comprehensive infrastructure nation wide and welfare of family units, especially working parents with young children. BN, which a political organisation of 14 component parties ensure all pockets of Malaysians anywhere in the Federation, would be included in the transformation. Manifesto Barisan Nasional bagi PRU 2018 bersifat inklusif, realistik dan berkesinambungan dengan apa yang telah dilakukan kerajaan sebelum ini. Manifesto Barisan Nasional juga menekankan sifat konsensus dan ‘power sharing’ yang sebenar antara negeri dan pusat: konsisten dengan agenda memperkasakan semangat MA63. Mengenali YAB Perdana Menteri, saya yakin dengan ketulusan beliau untuk memperbetulkan kesilapan dan kesalahan pada pihak kerajaan Persekutuan – khususnya pada zaman sentralisasi kuasa di bawah pimpinan Tun. Dr. Mahathir dahulu. Dalam hal ini, Manifesto Barisan Nasional adalah jauh lebih ke hadapan dalam pemerkasaan negeri-negeri Borneo berbanding Pakatan Harapan. Bahkan, cadangan untuk menubuhkan Jawatankuasa Khas Kabinet untuk menyemak MA63 dalam Manifesto Pakatan Harapan adalah ‘redundant’, kerana sudah pun dilakukan oleh Kerajaan BN pimpinan YAB Dato’ Sri Najib Razak – dengan saya sendiri mempengerusikan jawatankuasa tersebut. Ini sekaligus menunjukkan betapa Pakatan Harapan sebenarnya tidak peka dengan sebarang perkembangan berkaitan MA63. Justeru, demi kesinambungan dan pembangunan berterusan rakyat Sabah, saya berharap agar sokongan dan mandat diberikan semula kepada Barisan Nasional. Foreign Minister Anifah had been playing a very paramount role inthe Malaysian foreign policy and international diplomacy the past nine years. The transformation is immense as Malaysia is gaining more prominence and higher role in various global dialogue and it is a very strategic extension of Malaysia’s foreign trade. An MP of forty years representing people of Johor Bahru and has been in the central core administration in various capacity since Tun Razak’s time opined that Prime Minister Najib’s leadership is optimising competency and capability. 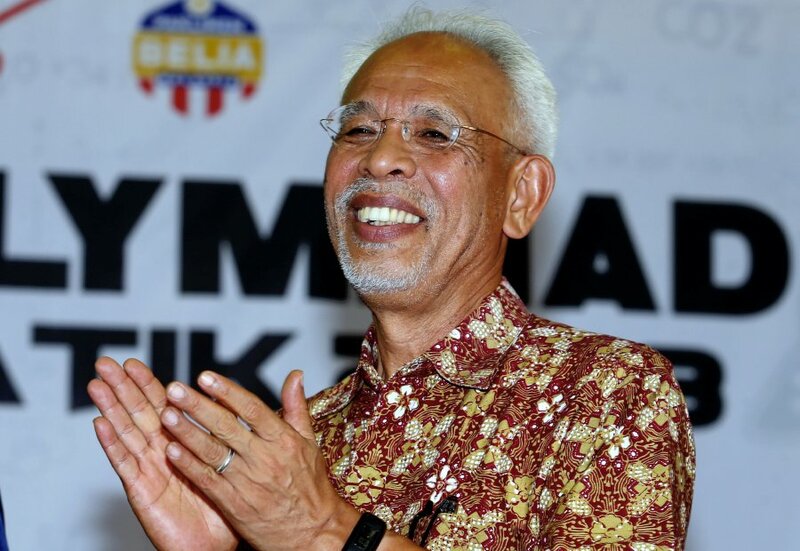 JOHOR BARU: The Barisan Nasional manifesto is realistic and something that can be implemented and are not based on populist measures, said Tan Sri Shahrir Abdul Samad. The incumbent Johor Baru member of Parliament said the promises made in the manifesto were based on the country’s capability and competence. “It is also based on the BN government’s experience and knowledge in administrating the government with the aim of taking the country forward,” said Shahrir. He said in comparing BN’s manifesto with the one announced by Pakatan Harapan (PH), the promises they made for Johor seemed to have been ‘copy-pasted’ and a lot them were copied. “They always claim that Malaysia is bankrupt, so how would they know how to bring the country forward. “BN’s advantage is that we look at the country’s ability in detail and with knowledge. What we promise can be implemented. For Example, we can raise the amount for Bantuan Rakyat 1Malaysia (BR1M) because we know that the country’s income from the Goods and Services Tax (GST) will continue to rise every year. “The opposition cannot see all these benefits because they are ruled by emotion. To them, everything is Najib’s (Prime Minister Najib Razak) fault,” said Shahrir. He said the opposition also failed to come up with a manifesto that people can take seriously, as they do not pay attention to the people’s needs and requirements. “The opposition talked about replacing the GST with the SST (Sales and Service Tax) and firing civil servants. For me this is all a drama. “For BN, administrating or running this country is not a drama. The rakyat want a responsible, experienced, knowledgeable and adaptable government,” said Shahrir. He was speaking to the media after closing the Science and Mathematics Olympiad organised by Gagasan Pendidikan Melayu Malaysia at SMK Bandar Baru Uda. Shahrir, who is also Felda chairman, said the manifesto will also continue with the changes that were started in 2017 which would make Felda more inclusive. “The focus will be on the settlers income and the question of the settlers’ debts, especially the excessive ones. For the next five years starting this year, Felda has allocated a total of RM300 million to help settlers settle their debts so that their income will not be affected,” said Shahrir. He said in BN’s manifesto, Felda settlers would also be eligible for the replanting grants that was announced in the 2018 Budget. “The grant, which provides a fund of RM7,500 per hectare, was initially provided for other smallholders but under the manifesto, we will include Felda settlers so that they too can enjoy the grant,” said Shahrir. The last bit is probably the most important bit, for BN’s struggle for the people. It had been the cornerstone policy of BN taking the nation to move forward, grow and achieve better stature. However, it is without compromising the Bumiputera Agenda. It is policy to alleviate and uplift them not at the expense of the others. 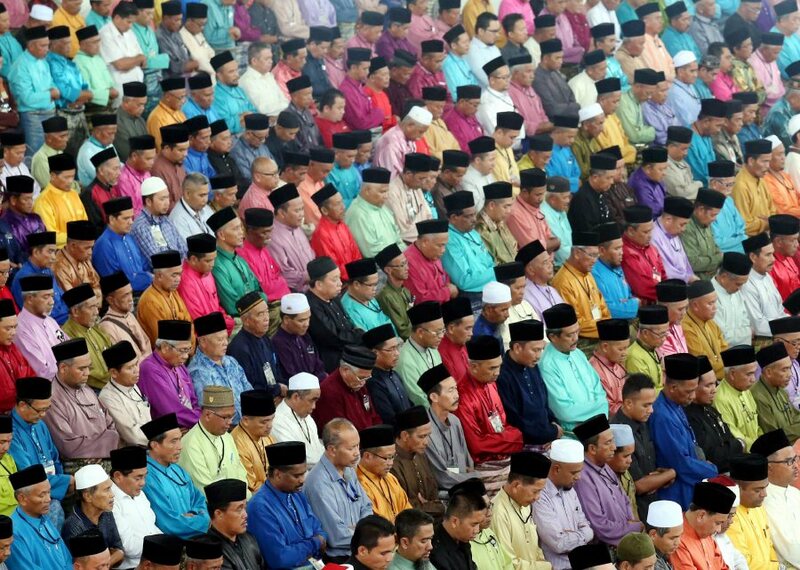 KUALA LUMPUR: Barisan Nasional promises that the special position of the Bumiputeras and Muslim citizens, as stated in Article 153 of the Federal Constitution, will continue to be strengthened without marginalising the other races. BN stressed that while the position of Islam as the Federal religion will continue to be preserved, the rights and freedom to embrace and practice other religions will still be protected by the government. Among the highlights in the party’s manifesto is to establish an Al-Quran University to produce more huffaz (scholars who have memorised the Quran), graduates who possess skills not only in memorising the Quran, but are also equipped with expertise in other professional fields. The coalition aims to produce at least 125,000 huffaz with professional qualifications such as in Science, Mathematics and Engineering. The existing tahfiz (religious schools) on the other hand will be complemented with the Giat MARA Skills Training Scheme. BN will also continue to implement the Bumiputera Economic Transformation 2.0 agenda to ensure Bumiputeras play a significant role in the country’s economic development. Launched by the prime minister in November 2011, the Bumiputera Economic Transformation Roadmap 2.0 sets out six principles of economic transformation, namely market-friendly, need-based, merit-based, transparent, pro-growth and sustainability in order to build a competitive advantage. Another focus of the party is to ensure Malaysia becomes a leader in the global halal industry with Bumiputeras as the main industry driver. BN also hopes to establish a committee on the harmonisation of syariah and civil courts and to empower the Syariah Court. In an effort to improve the Islamic banking system, BN hopes to introduce a syariah-compliant Home Sale and Purchase Agreement by amending schedule H and G of Act 118, the Housing Development (Control and Licensing) Act. • Restructuring aid to the Orang Asli by constructing infrastructure that improves their quality of life, provides robust economic opportunities and diversifies income sources. • Increasing the quality of haj and umrah management services as well as the wellbeing of pilgrims. • Enhancing the role of mosques as activity centres for the Muslim community through the Mosque Transformation Programme. • The mosque administration and management personnel will be given training and al-Hafiz will receive an increase in allowance. 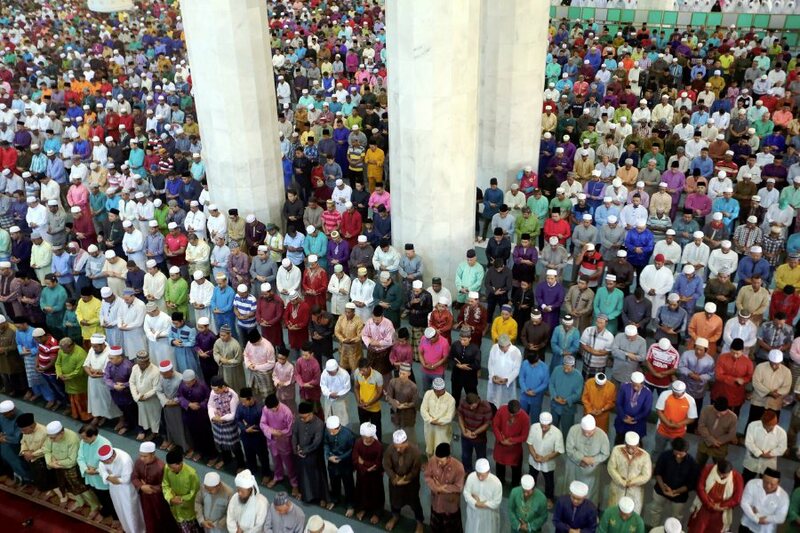 • Increasing the number of surau that are allowed to hold Friday prayers. • Establishing a special fund to upgrade the education and safety regulations of religious schools to meet national standards. • Improving the quality and expertise of stakeholders in Islamic administration such as the imam, fardu ain and kifayah (KAFA) and takmir teachers, religious teachers, syariah officers and Syariah Court judges, an Islamic Training Academy of Malaysia (ALIM) and Syariah Judiciary Academy of Malaysia. • Providing Arabic Language Intensive Training Courses to assist Sijil Tinggi Agama Malaysia (STAM) holders to pass the Imtihan Qabul examination, which is the main requirement for higher education qualification in Arab countries. • Continuing to support the independence of the Palestinian state and recognising Baitulmaqdis as its official capital. So far, more than nine of ten promises have been delivered or work-in-progress. More goodies are included, to ensure everyone is not left behind in the Transformation Plan for Malaysia. This is why voters decided who to lead and take care of business, so that everyone can do about the business in going concern and gets a bottomline.